Social media is all about connecting with people in a better way. With Facebook we could easy connect other accounts like twitter etc to our profiles. 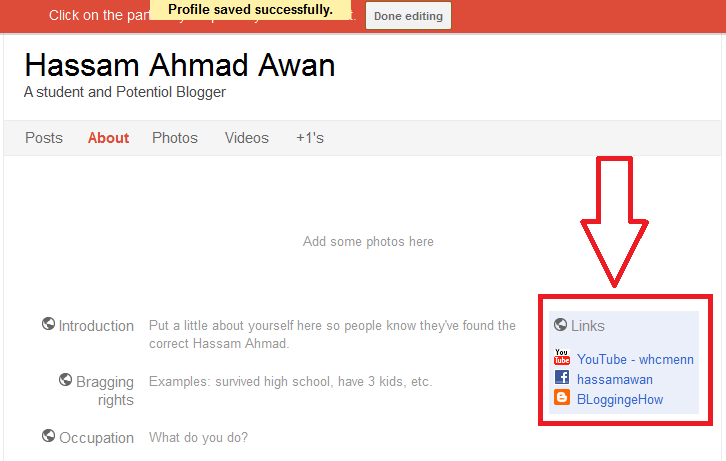 Its extremely easy to do in Google + too. By clicking Edit profile its more than easy to edit anything on your profile page. 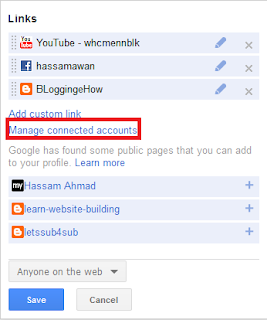 Follow the steps to connect or add more social media accounts to Google + profile. Want to get invited to Google+? I assume that you are logged into Google plus. In case you are still not the part of this amazing service your can leave your emails in the comment section of the link provided. Now once you are loged into your profile Go to Profile >> Edit Profile. Now once your are in the edit mode after clicking Edit profile button, click the links section on the right as shown on the right. 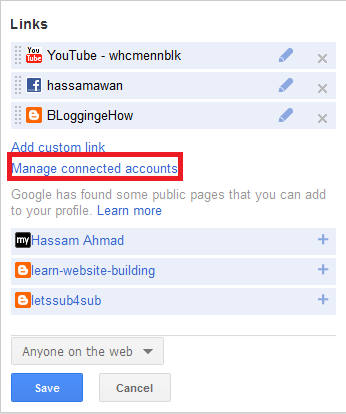 A window would pop up where you can add more social media links or manage the existing ones by clicking "Manage Connected Accounts"
Once you are done adding more accounts, click save and its all done. This was quite easy. If you are not the part of Google + leave your email on the post. I will try to add as soon as i could.